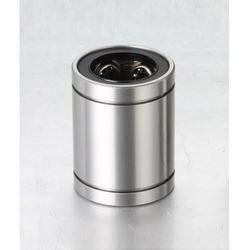 Providing you the best range of end bearings and nut housing and lm bush with housing with effective & timely delivery. We are one of the prominent companies offering a wide series of quality certified Precision Ball Screw Assemblies End Bearings and Nut Housing in different specifications within set time. The offered range is fabricated using top notch quality basic materials, other components and state-of-art technology following pre-fixed quality standards. Clients prefer and applaud the offered range due to its rugged construction as well as effective performance. The entire assortment undergoes quality check tests to verify the product is of utmost quality by all means.